Ah, it looks like your apartment could use some cleaning. Few people look forward to vacuuming rugs or scrubbing the bathroom, but there is no getting around it. So, if you are going to clean, you might as well tackle it in the most productive way possible. 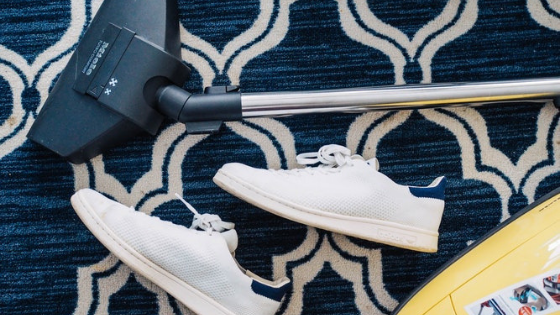 These three apartment cleaning tips can help you cut down on your cleaning time without forcing you to live in a pigsty. Clean as you go. You probably heard your mother telling you a thousand times to clean as you go when you were a kid. It’s a pity we don’t always listen to our parents because that’s some pretty good advice. You can significant cut down on your cleaning-day duties if you take a few extra seconds through the week to straighten or put things away once you finish using them. Consider washing dishes as you cook, wiping down the bathroom after taking a shower, and for goodness sakes, putting your clothes in the hamper! Do small projects first. Dragging out the vacuum every day is a hassle, but there are plenty of small, easy-to-complete chores you can do throughout the day which can make a huge difference in your home’s appearance. Getting rid of the small piles of clutter is an easy and immensely satisfying way to start. It is amazing how these piles can grow overnight! Do you have a few extra moments? Try doing a bit of dusting before turning on the TV for the evening or cleaning the bathroom mirror after brushing your teeth. Use the right tools. Sure you can stand on two pieces of damp paper towels and attempt to skate your way to a clean floor, but using a real mop and bucket will be quicker and more effective. Investing in a few basic cleaning supplies can make a huge difference in your cleaning experience. Every home needs paper towels, sponges, rubber gloves, a toilet brush, a broom, a mop, a bucket, and a vacuum at the very least. Are you on the lookout for great apartments in Plano, TX? Creekside at Legacy Apartments is ideally located within a short commute of Dallas. Choose a 1- to 3-bedroom apartment to suit your needs. Call 866-486-4668 to arrange a showing of available units.